A particularly interesting interaction with PMAY beneficiaries in Jharkhand. 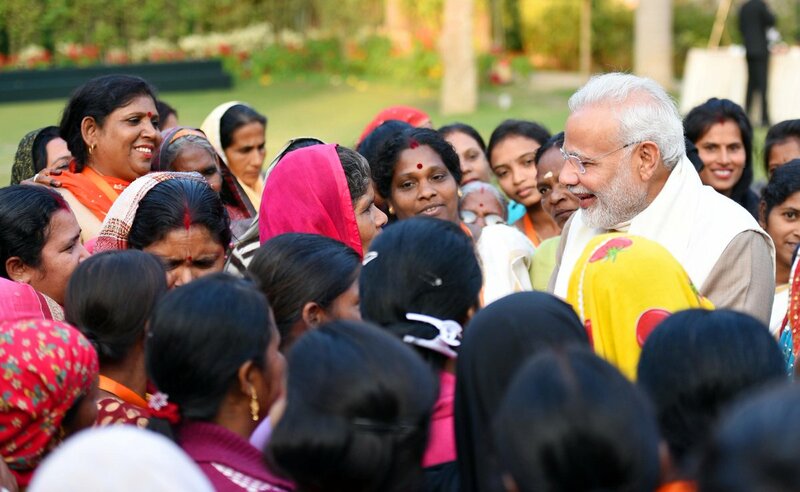 You would be amazed to know that these women have benefitted from Mudra loans and Ujjwala Yojana. It is wonderful to see several of the NDA government’s schemes touch the lives of many. Here is Shri Ji talking to someone who benefitted from the Ujjwala Yojana. I urge BJP MPs and leaders to also meet beneficiaries and share their inspiring journeys with the rest of the nation. I got an opportunity to know first hand how the Ujjwala Yojana is bringing smiles on the faces of several women. 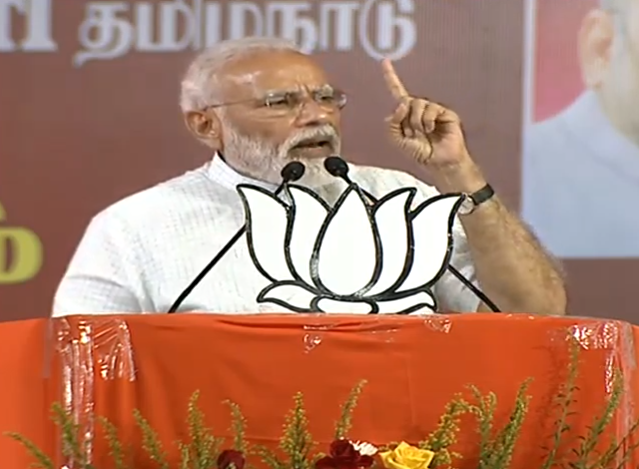 Ujjwala Yojana has been a positive factor for these women in Tamil Nadu. Ask people in villages how the Ujjwala Yojana and the social security schemes of the Government have transformed their lives. Modi Govt's policies usually don't succeed because they are not thought through. The Ujjwala Yojana is just another example. 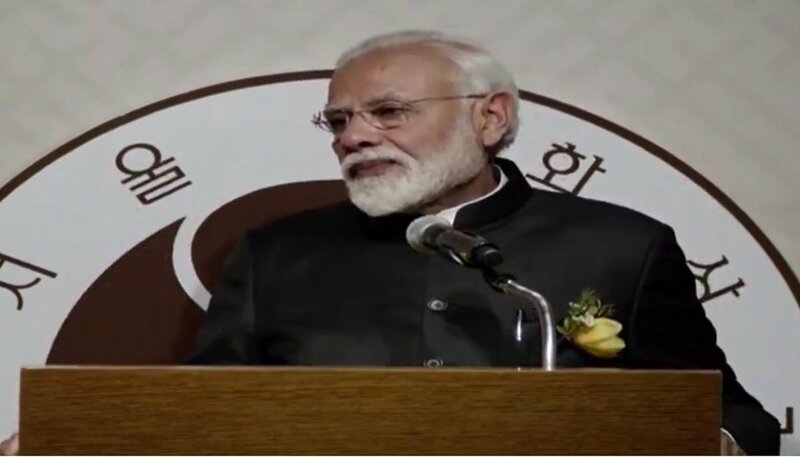 #Elections2019 | The Congress had taken objection to characters in the two TV serials praising government schemes like Pradhan Mantri Ujjwala Yojana, Swacch Bharat Abhiyan and Pradhan Mantri Mudra Yojana. Ujjwala Yojana has also failed to meet its stated objectives as the consumption rate has increased only by a meagre 0.8% and more than 75% of the connections are inactive. #NewIndia4NariShakti Ujjwala Yojana is removing smoke from the lives of women & their families. 6.93 crore poor women & their families are now enjoying good health with free LPG connections, that too in record time! 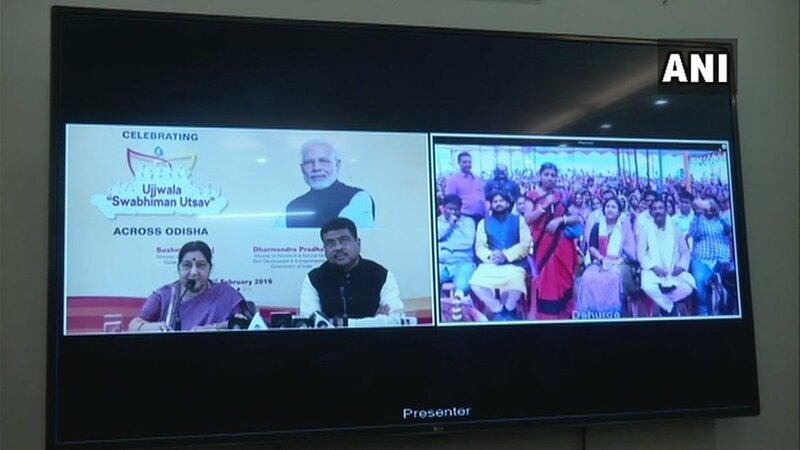 Delhi: External Affairs Minister Sushma Swaraj along with Union Minister Dharmendra Pradhan interacts with Pradhan Mantri Ujjwala Yojana beneficiaries, says, "Ujjwala Yojana is not just about a gas cylinder but this scheme also empowers women." 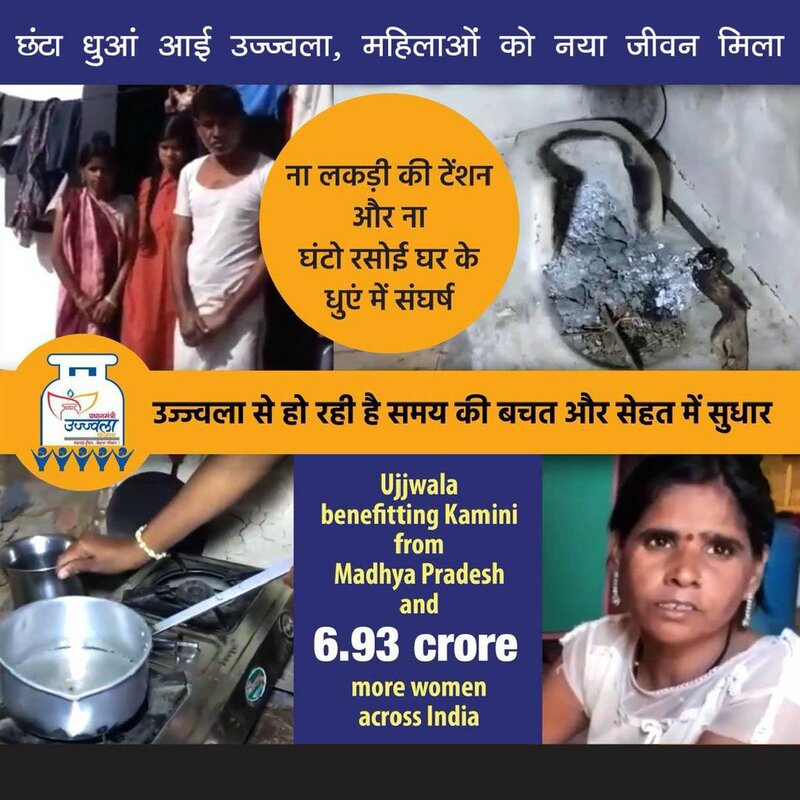 7.53 lakh Ujjwala connections distributed. 5,02,434 households electrified under Saubhagya Yojana. 25.03 lakh LED bulbs distributed across 16,682 villages. Immunisation of 1,64,398 children and 42,762 women under Mission Indradhanush. Ujjwala Yojana continues to expand its reach! Extremely delighted that today the number of beneficiaries crossed 2.5 crore. Ujjwala Yojana is bringing a massive social transformation. 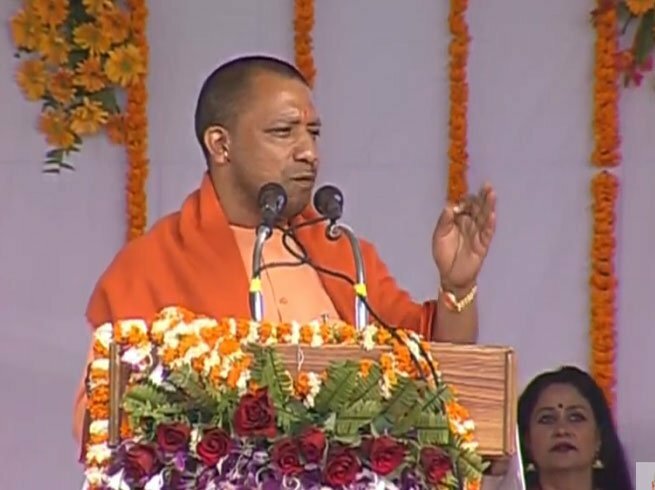 Majority of the beneficiaries are women, and those belonging to SC, ST and OBC Communities. For decades, they never had access to gas connections…this has changed and today they are much happier! Gave a detailed account of the benefits to Karnataka due to Central Government initiatives such as Jan Dhan Yojana, social security schemes, Mudra, Mission Indradhanush, Ujjwala Yojana and spoke at length about the Centre's efforts to build better infrastructure and help farmers. I congratulate Minister @dpradhanbjp and his entire team that has been working round the clock for the success of Ujjwala Yojana. At 9:30 AM, will take part in a special kind of interaction, with beneficiaries of the Ujjwala Yojana from all over India. Looking forward. Hearing the beneficiaries made me extremely happy. They told me that due to Ujjwala Yojana they are not only spending less time cooking but also learning stitching and other skills. Some of the beneficiaries said that due to Ujjwala they could spend more time with their children. Talked about how LED bulbs, Ujjwala Yojana and other Government initiatives are transforming lives of people across India.